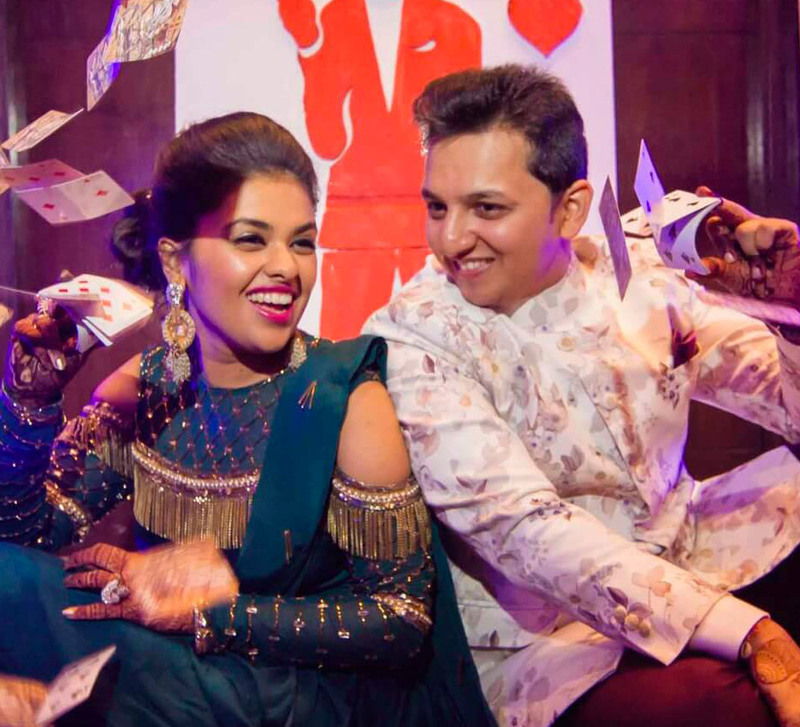 Sakura blossoms, cheery sunflowers and fabulous floral arrangements added a naturally colorful vibe to Guntas and Ishdeep's wedding celebrations in Thailand . In Guntas and Ishdeep’s story, there is only one patisserie chef but when it comes to the art of mixing sweetness with a generous amount of romance, the skill is not exclusive to one. The couple exchanged their vows in the 'Land of Smiles' - Thailand and beamed as they became husband and wife. The bride tells us the tale of their romance and shares with us the pictures clicked by WeddingSutra Favorite - Infinite Memories. “Our parents introduced us a couple of years back, but we weren’t ready to get married then. Destiny, however, had other plans. Ishdeep came down to Bangalore on a work trip, we met and instantly connected. However, I decided to move to London to become a Patisserie Chef while Ishdeep continued working and living in Mumbai. We kept in touch and two years down the line our friendship developed into a partnership for life." 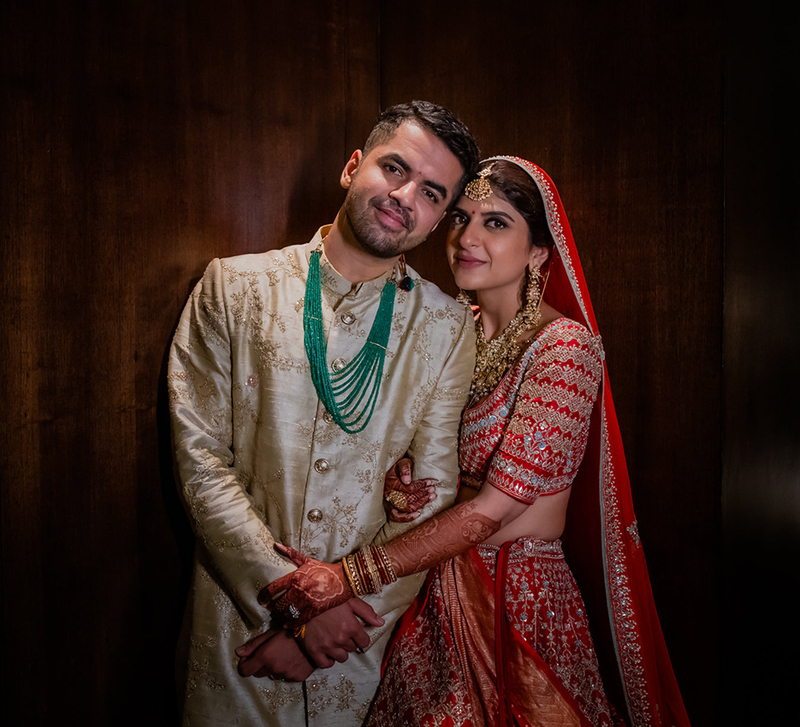 “A couple of months before his sister’s wedding, Ishdeep casually asked if I would be ready to attend her nuptials and I knew what that meant. I had no reply to it, and he asked no more questions. Fifteen days before her big day, he took me by surprise and called my dad seeking his permission. A day before the celebrations the families approved of our relationship and exchanged congratulations. A day after the wedding, we got engaged." “The decor for the pool party made use of shades of blue and yellow along with white. We set up a large ring covered with twigs and branches. The entrance was decorated with leaves and sunflowers. Canopies decked with flowers dotted the venue. Our guests had a blast participating in activities that took place in the pool and on the lawns, and enjoyed letting their hair down and dancing." “Next morning we had our Anand Karaj ceremony where the decor was dominated by white and pleasing hues of pink and orange. I made a traditional entrance under a 'phoolon ki chaadar' (floral canopy) and opted for a red Sabyasachi Mukherjee lehenga as my bridal outfit. Ishdeep, on the other hand, went with a white achkan and complemented my look with his red turban." “The last function in the line-up of events was our sundowner bash. The decor was centered around floral arrangements and some soft lighting added a romantic and dreamy vibe to the ambiance. 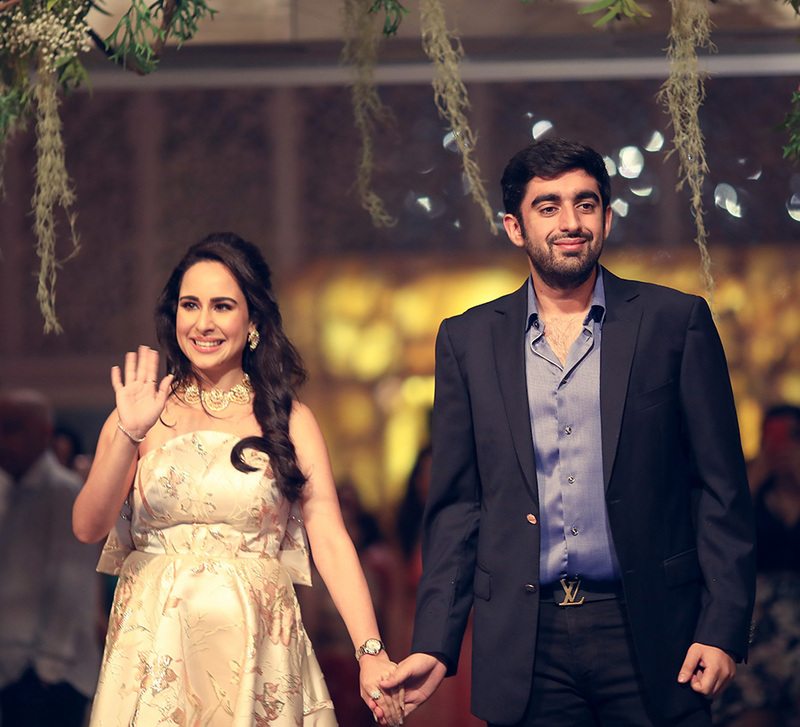 I wore a striking Gaurav Gupta gown for this function."